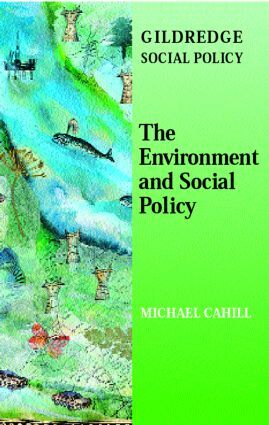 Focusing on human welfare and the environment from a social policy perspective, this text shows how environmental concerns are becoming increasingly central to policy-making and discusses the roles of central and local government in relation to environmental issues. The Environment and Social Policy covers the following contemporary topics: sustainability, Local Agenda 21, green ideas, environmental health, housing and urban development, food, work, globalisation. Each chapter starts with an overview of the topics and ends with a list of key points and a guide to further reading. Core concepts are clearly explained and illustrated throughout this text which provides students with a concise and up-to-date summary of what they need to know.